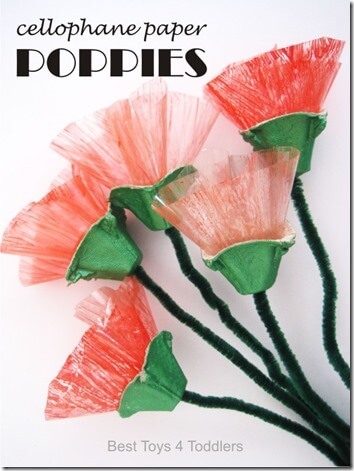 Kids of all ages will love creating these beautiful and unique poppy flower craft this spring or summer. One of my favorite things about summer is all the beautiful flowers everywhere! So when I saw these super cute and clever Cellophane Paper Poppies from Best Toys 4 Toddlers I knew I had to share them. This would be such a fun flower craft for kids this summer.